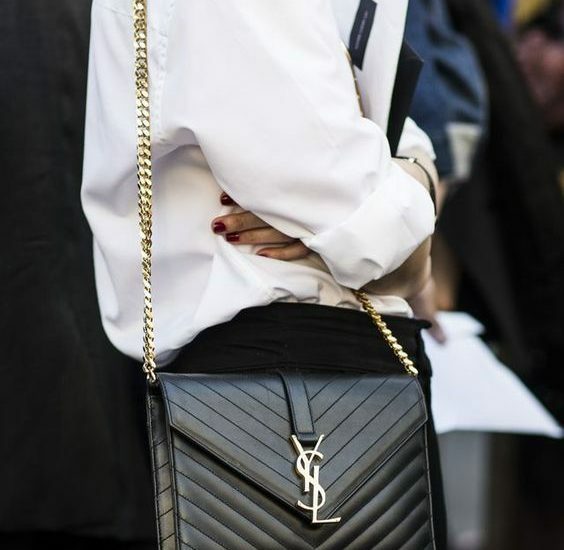 The Fashion Girl’s Guide to Saving Like a Pro! Saying the words ‘saving’ and ‘spending’ in the same sentence can often feel like shouting a curse word. Does it really make sense to buy another on-trend skirt when you are saving for a deposit? Let’s not even start thinking about that Celine bag that’s been on your wish list for about 5 years! Eniola-Tamara, Founder of LDN Sample Sales, like many other millennials found herself stuck in fashion limbo on the quest to bank balance freedom. She believed it was possible for the everyday consumer to buy designer clothing for less. And she knew just the way to do it. How and why did you start to shop at Sample Sales? I always had an affinity to luxury. Maybe it stemmed from studying Design Management at University and specialising in Luxury Retail. However, anyone knows that studying about luxury brands and buying luxury items are two completely different things. The reality was, that after graduation, even when I had a little more disposable income, I still couldn’t afford these things. I was fed up of putting money aside in order to afford designer items; saving for months in order to have one item. To me, there was a certain guilt attached to spending so much, when the money would be better used elsewhere. I needed some instant gratification that suited my pocket. A friend who worked in the industry subsequently invited me to my first sample sale. That was when the penny dropped. Before then, the notion of ‘splurging’ whilst being prudent didn’t exist for me. A sample sale put simply, is a shopping event used by brands or design houses to clear excess inventory. Often inventory is an old season, in- house prototypes or archive pieces. Some brands hold sample sales as little as twice a year and savings can often be between 70- 90% off! What is the premise behind LDN Sample Sales? LDN Sample Sales is a platform informing customers about the latest designer sample sales from luxury brands within London. Regular updates via our Instagram account @ldnsamplesales and other social media outlets keep our growing fashion community in-the-know about the capital’s best-kept shopping secret. LDN Sample Sales gives customers the keys to building a quality design-led wardrobe for a fraction of the price. In turn, the money saved can always be put into other investments, a saving account is one example. Do you believe it is possible to buy quality items and save? Absolutely! There is that saying that if you buy quality you never buy twice, and it’s something that inherently resounds with the LDN Sample Sales DNA. Shopping at sample sales is just a way of shopping smarter. However, it is far from glamorous; don’t expect a shiny branded carrier bag with your purchases. Sample sales were once an industry only event; you needed an invitation to this type of private sale. Now, the shopping climate has changed and sample sales have opened to the general public. What are the advantages of shopping at a sample sale? Consumers are able to get the most out of their money at these sales. You are able to buy designer pieces that have longevity as well as a strong fashion aesthetic. Sample sales allow you to discover new brands and allow you to experiment with your own personal style. What is your most useful piece of advice to help with saving? Setting a realistic savings goal from the start. Try and make it something you can adhere to, as being consistent is key to seeing your funds grow. Try to create a solid budget (where review your income vs.expenditure) to help plan how to achieve that saving goal. Do you think the ‘off-price’ shopping model is just a fad? No, there are many companies such as the Outnet and TK Maxx that are using this type of business model to give their customers the best value for luxury items. LDN Sample Sales celebrates premium private sales because it has opened a newer method of shopping to an increasingly price savvy customer. What would be your money-saving advice to those attending their first sample sale? Don’t ‘panic buy’ because everything is discounted! Even if it a designer brand, it’s always best to think about how much wear you will get when you own it. Give yourself an idea prior to attending of what you are looking to buy, e.g a blouse and stick to it. There will be lots of temptation but it’s about discipline. My top tip is to think about what’s missing in your wardrobe, as a great starting point. Have an accountability partner. Shopping can be addictive. If you have someone to remind you that you only wanted 1 pair of shoes, or to attend one sample sale a month, then the probability of overspending is less. To sign up for exclusive sample sale invitations subscribe to our mailing list at www.ldnsamplesales.co.uk or follow us @ldnsamplesales on Instagram, Facebook and Twitter.